It’s no secret that 2015 was a great year for corporations. From record profits to extraordinary innovations, this was a year when our friends in the corporate world were able to put their best foot forward and light up the sky. It has been long established that corporations are people. So it should come as no surprise that, just like our favorite people on TV, corporations have catchphrases: Pithy sayings that reveal everything about their brands’ personality, sense of humor, and values. Simply put, these corporate catchphrases are called SLOGANS. 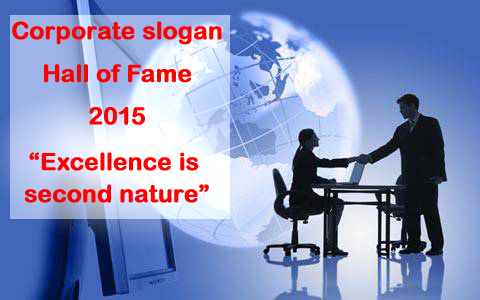 Slogans define the best qualities of corporations. If future historians ever want to know what life was like in 2015, all they need do is collect the year’s corporate slogans and read them one after another, like a grand novel of sweeping ambition … a litany of greatness … an ode to excellence itself … an epic tale of American business like no other.